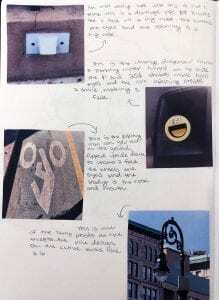 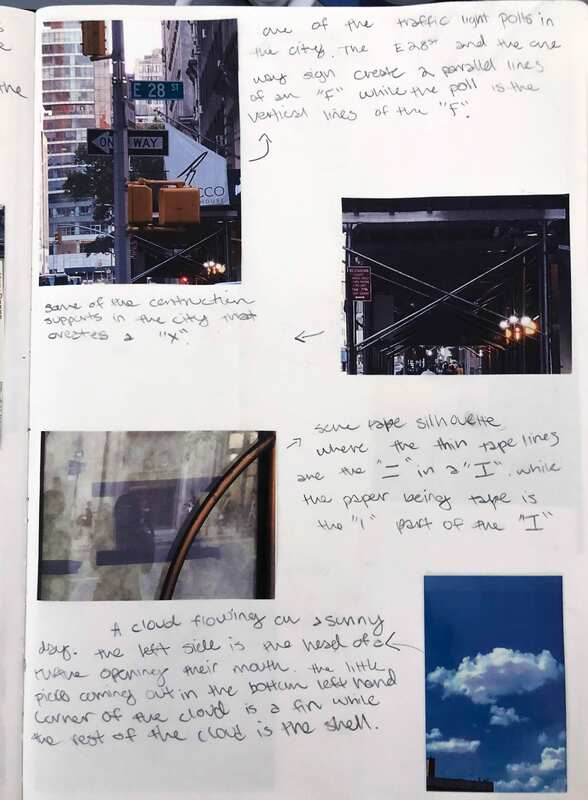 In this project for Space and Materiality, students were told to go out into the streets of NYC to capture 20 images of the faces, animals, letterforms, numbers, geometric shapes, etc. that are created by everyday objects and occurrences in the city. 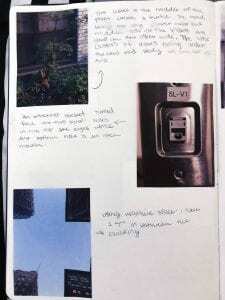 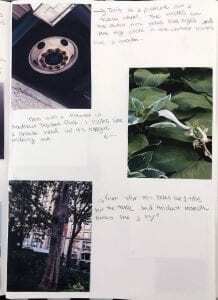 Once we had collected all 20 photos, we would proceed to print them out and past them in our sketchbooks. 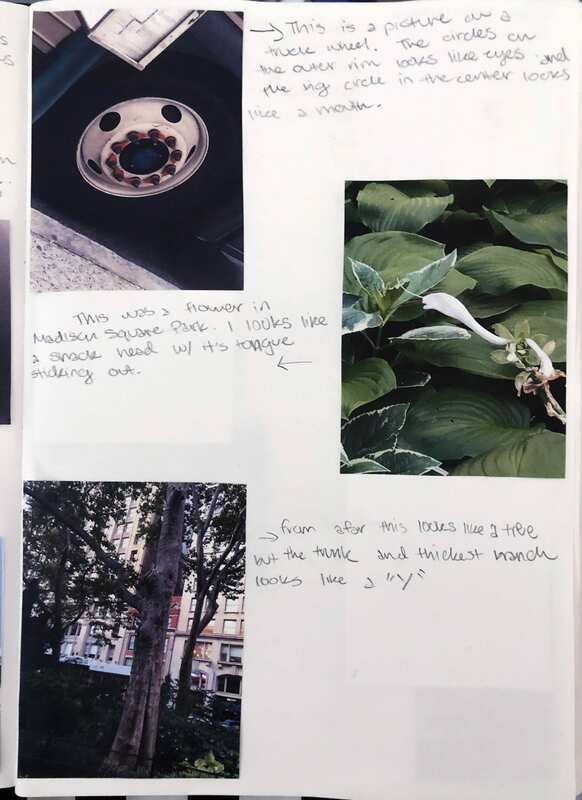 There we described how our pictures reveal how one object transformed into another by just viewing them from different angles or perspectives. Through this project, I was able to better grasp what it means to look at the environment around me through a plethora of different lens. 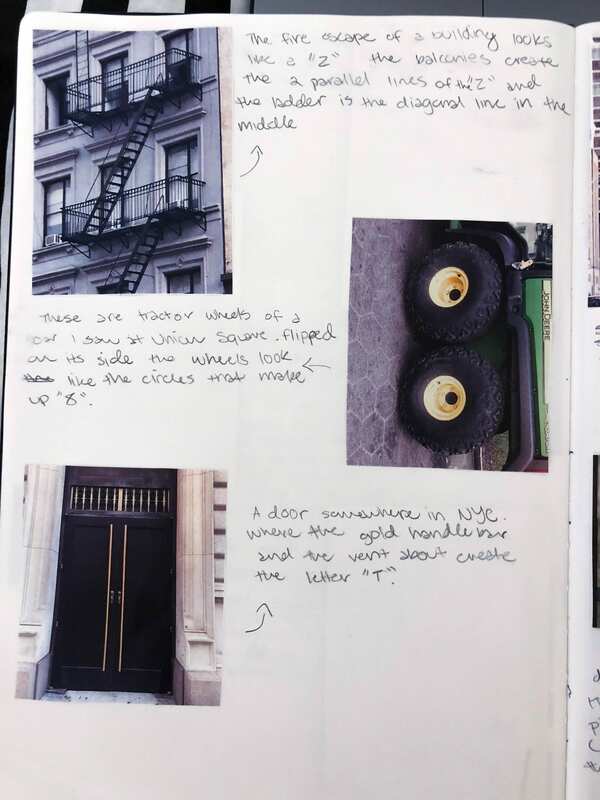 In relation to 3D, this assignment will help students develop a better eye when looking to create new designs. 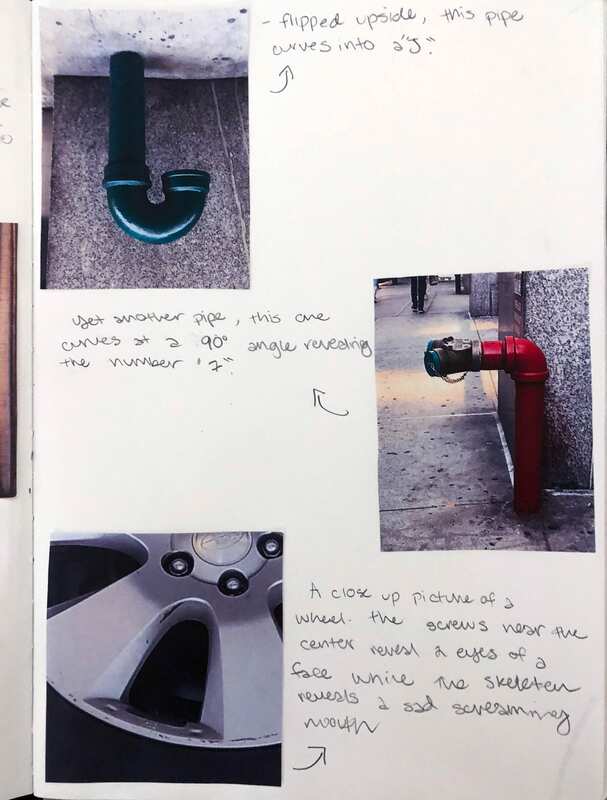 Viewing everyday objects differently from the way they are supposed to be seen is how a good designer finds the inspiration to create something new and unique.